Some of China’s big insurance companies have provided financing for pricey condo towers under construction in the Seaport District (above) and the Fenway. But after days of sharp declines on the Shanghai Stock Exchange, a currency devaluation by finance ministers in Beijing, and growing concern about a broad slowdown in the world’s second-largest economy, there are big questions about how much longer that money will keep coming. The answer — in the short term, at least — is that the turmoil may actually speed up the flow of cash from China to Boston, according to local real estate specialists. “We’ve had people come in with a little more sense of urgency lately,” said Sue Hawkes, whose firm, The Collaborative Cos., markets condominium developments in Boston that have attracted Chinese buyers. 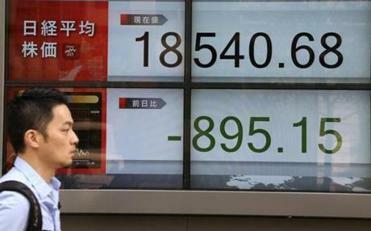 “They’re trying to beat the fall” of China’s economy and stock market. For several years, wealthy Chinese have been snapping up homes in high-end neighborhoods from Cambridge to Wellesley, while institutional investors, such as some of China’s big insurance companies, have provided financing for pricey condo towers under construction in the Seaport District and the Fenway. Precise figures on Chinese buying in the Boston area are hard to come by; foreign buyers are under no obligation to declare themselves as such, and many purchase through shell companies. But anecdotes abound of all-cash offers on condos in Cambridge and Chinese families buying homes in Newton and Lexington to send their children to some of the region’s best public schools. Queasy investors may be reluctant to continue pouring money into Boston-area real estate development, life sciences startups, and biotech IPOs. A recent survey by the National Association of Realtors estimates that Chinese buyers have bought $28.6 billion worth of housing in the United States over the past year, more than twice what they spent two years ago. Boston, with its elite universities and direct flights to China, is a favored market, just behind New York, Seattle, and several of California’s biggest cities. Of course, after a tumultuous month in which $1.2 trillion evaporated from the country’s stock markets, there is less money for many Chinese to spend anywhere, much less abroad. But Jessica Ye, a Cambridge real estate agent with Keller Williams who has been courting buyers in China and Singapore the past several weeks, said many wealthy Chinese don’t necessarily keep their money in the country’s volatile stock markets. Still, there is anecdotal evidence of some pullback. In the long term, Chen said, many of her clients see the United States as a safe haven. Chinese capital has poured into commercial real estate projects in the last two years — $7.2 billion since the start of 2014, according to the Rhodium Group, which tracks cross-border investment. That’s more than all previous investment combined, Rhodium said. So far, Boston has not been a major destination; the biggest foreign money in the area has come from Canada, Norway, and Japan. That began to change earlier this year when two large Chinese insurance companies bought a majority stake in Tishman Speyer’s $500 million redevelopment of Pier Four. Then in June, Chinese home builder Landsea Holdings announced a partnership with Samuels & Associates on its $300 million Pierce Boston condo tower in the Fenway; terms of that deal were not disclosed. And people who work to finance big real estate deals in Boston say Chinese investors are kicking the tires on other projects. “There’s a lot of interest among Chinese investors in Boston,” said Richard Rudman, an attorney who specializes in real estate finance at DLA Piper. Global economic uncertainty, he predicted, may just make Boston and the United States even more attractive to foreign investors. “I think it’ll just increase the appetite foreign investors have for being in the US,” he said. In some ways, China’s struggles at home could even help Chinese investors get more bang for their buck abroad. The country’s economic slowdown has pulled down the price of steel, copper, and other materials on global markets. 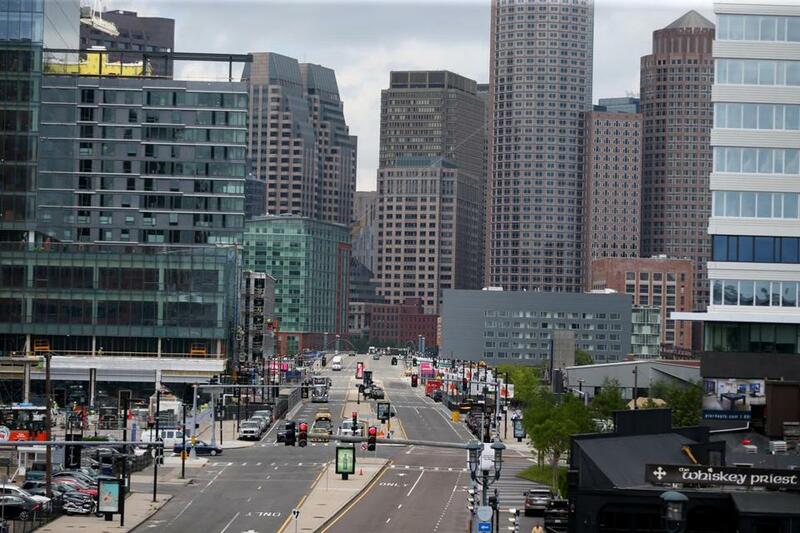 That will make it less expensive to construct new buildings in Boston, said Greg Vasil, chief executive of the Greater Boston Real Estate Board. Still, in a global economy, everything’s connected. Chinese demand helps power US companies, and Chinese money to invest in Boston is not limitless. A weaker yuan could price more buyers out of the United States. Same goes for China’s battered stock market. All that means the future for Chinese investment in US real estate is anyone’s guess right now, said John Burns, a housing consultant in Irvine, Calif., who studies Chinese buying patterns. Deirdre Fernandes of the Globe staff contributed to this report.